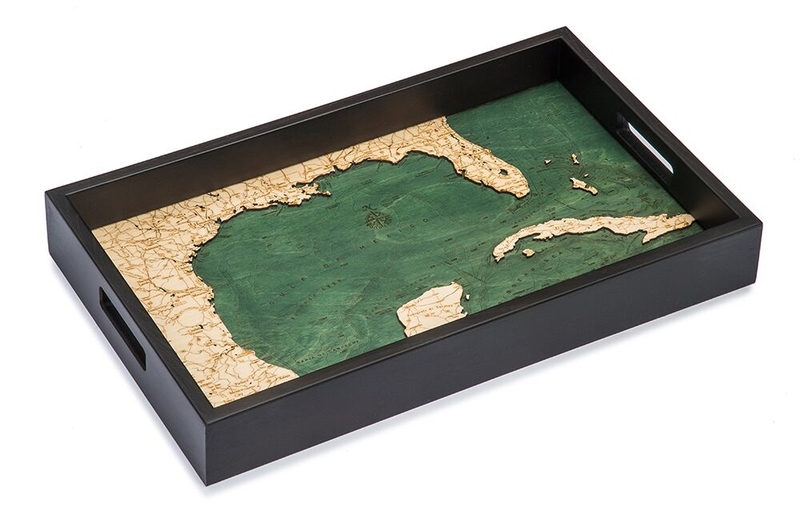 The Woodchart® Gulf of Mexico Wood Serving Tray is made from precision laser cut and etched Baltic birch. The water area is stained blue/green and is recessed 1 layer below the land and islands to give a dimensional look. The lakes show water depth contours with soundings laser etched on each contour. The mapping shows precise shorelines, highways, landmarks and lettering. Special finishing techniques bring out the natural grain of the Baltic Birch. The decorative serving tray measures 12" X 20" with the sides being about 2 inches high. 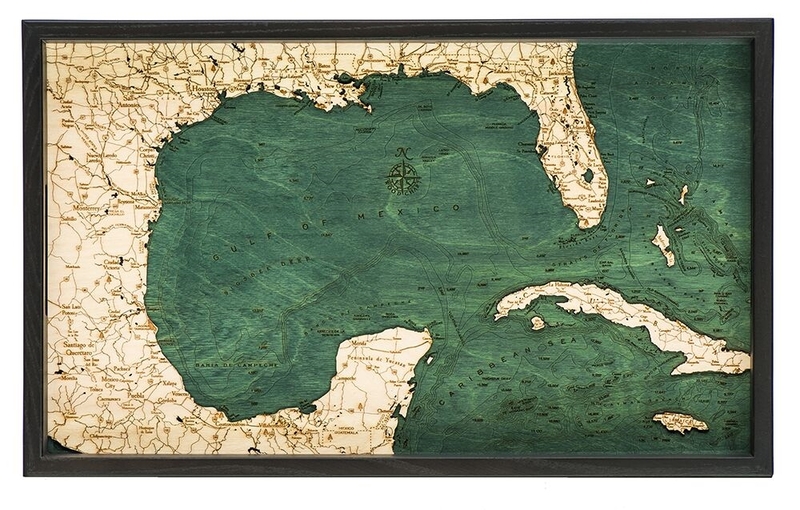 Order your Gulf of Mexico decorative serving tray from Carved Lake Art today to get the most detailed tray on the market at the best price! Have a question? Get in touch! We’re here to help.